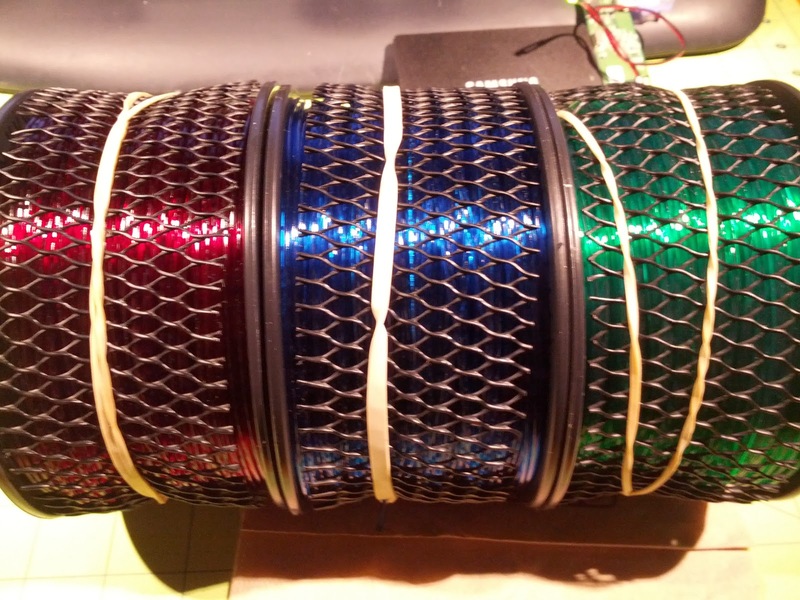 dbclunie: Yoda, A Tie-fighter, And Some Colored T-Glase Filament! Yoda, A Tie-fighter, And Some Colored T-Glase Filament! Just wanted to share two of my latest prints. 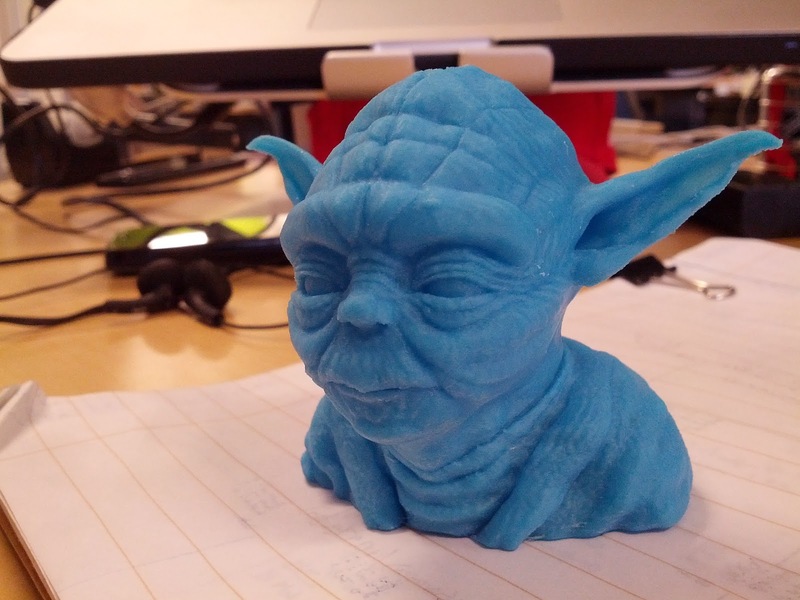 The first is a yoda head I printed out at 70 microns using 35mm/s print speed extruding 220c, 80c hpb, it turned out really really well. I printed it using 3d2prints Glow n the Dark Blue abs. Going to make it a hologram-ish like figuring with a light puck base that has been jazzed up with some star wars'y greebles. 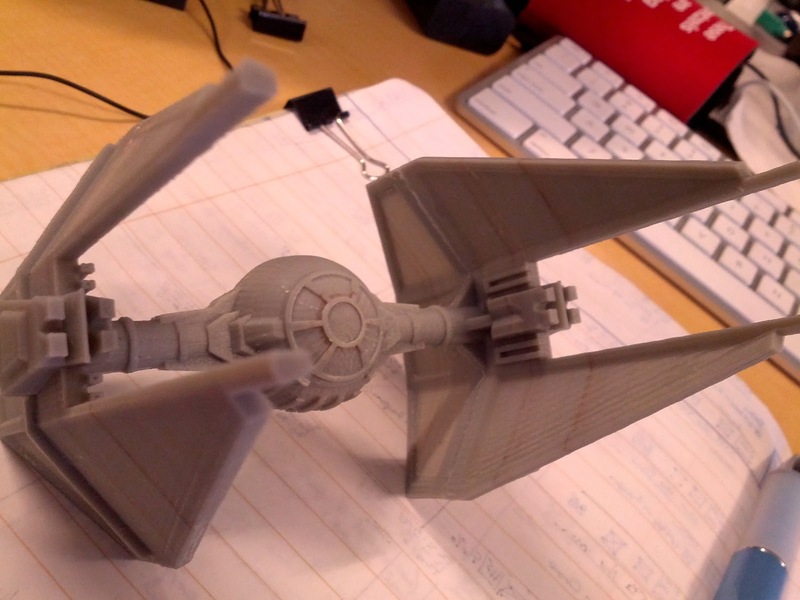 The second print is a tie-fighter which i printed out in the 3d2print grey abs, i printed out at 50mm/s 235c 110c hpb. You might be able to see that either the dirty nozzle (its has a coating of black carbon around (well burnt plastic) ) exterior left a few darker lines or there was some old filament in the nozzle and was extruded on those layers, and appear as dark bands. This one was a bit "rougher" in quality to which I attribute to the faster speed as well as a bit of agressive sanding on the bottom halves after the fact, but can be corrected upon filling/painting/sanding/finishing, etc., the model and adding a stand.